What is Enduro Mountain Biking? 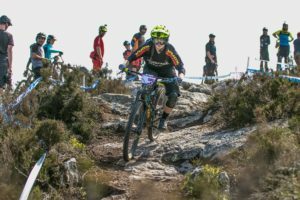 Enduro mountain biking is one of the newest cycling disciplines accredited by Cycling Ireland, and is growing in popularity for women in Ireland. It combines the fitness and endurance of cross country mountain bike racing, with the technical skills of downhill mountain bike racing. This type of racing involves racing ‘stages’ offroad on mountain bike tracks. Each race can have between 4-6 downhill stages which riders must complete in the fastest time possible. Stages are usually between 2 – 8 minutes long. Riders can take their time to ride up to each stage making the sport very sociable and welcoming to new riders. The winner is the rider with the shortest aggregate time between all downhill stages. Ireland has hosted the Enduro World Series in Carrick for three years, showcasing our tracks to the best riders in the world. 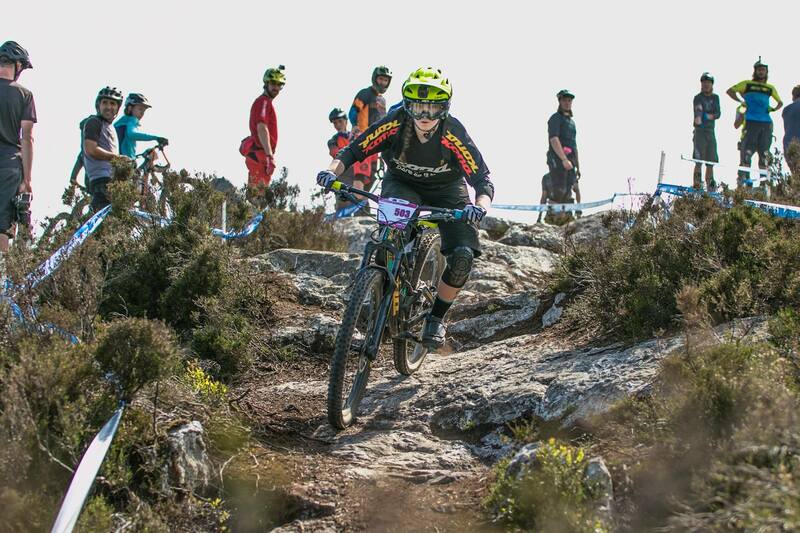 Ireland’s Leah Maunsell is one of the world’s best U21 enduro riders, having podiumed at multiple Enduro World Series events. Although the name “enduro” is used to describe these types of events, you can think of enduro being like a timed trail ride with your friends. Take it handy on the uphills and go as fast as possible on the downhills! It can sometimes be confused with “endurance mountain bike races” which are similar to marathon style cross country races. An enduro mountain bike needs to be good at climbing, but also good at descending. So, many of these types of bikes are relatively light but also burly enough to take in technical and rough terrain. Typically, these bikes have both front and rear suspension. Front suspension is usually between 120mm and 180mm depending on the types of tracks you are riding (although some riders do use front suspension bikes only, aka-hardtails). There are three main wheel sizes for mountain bikes; 26”, 27.5” and 29”. 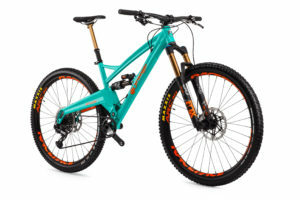 All of these sizes can be used for enduro mountain biking, although some prefer different sizes depending on their riding style, height or terrain they usually ride. Wide, nobbly tires (between 2.25” and 3”) are used for gaining grip on tracks. There is a lot of debate surrounding pedals for mountain biking, with some riders using flat pedals, and others using clip-in style pedals. 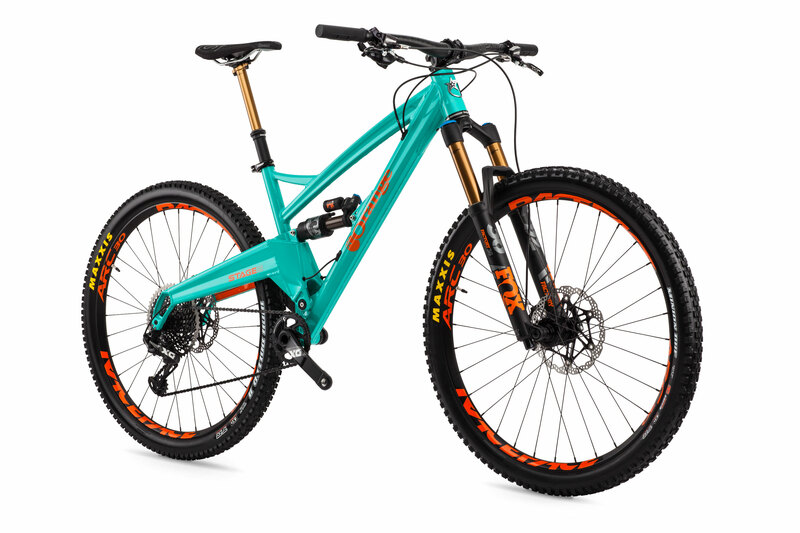 Many enduro bikes are now using a 1x gearing. This means that there is only one chainring at the front, and 10 or 11 gears at the back. But, some riders prefer to have a wider variety of gearing, and use a front derailleur and two or three chainrings. Dropper seatposts are very common. At the push of a button on your handlebars, your seat drops, making it easier to get your weight backwards on steep technical sections. Disk brakes are a must for this type of riding, as they provide more braking power on steep downhills. Although enduro bikes can be expensive, there are lots of second hand bargains to be picked up on Facebook Buy and Sell pages, club websites, and word of mouth. Most riders would wear an open faced helmet and some form of protection when racing enduro. This can include knee and shin pads, elbow pads, eye goggles, and for some races, full face helmets. Clothing for enduro is usually baggy style shorts over a padded short, and a long sleeve jersey. Many riders would wear road-style clothing, but thicker baggy shorts, and long sleeve jerseys can give more protection. As you can be on the mountain for up to 5 hours during a race, most riders would wear a hydration backpack with tools, food, water, and first aid. Some of these backpacks also include a back protector. Where can I start riding enduro? Enduro is a racing discipline of mountain biking, and there are lots of places that you can ride around the country. Coillte Forests: Over the last decade or so many mountain bike trail networks have been developed in Coillte forests, which are way marked to ability and free to use. These often include facilities for bike rental and bike wash and a coffee shop. The best advice to get started in this discipline would be to join one of the many mountain bike clubs around the country. Which clubs specialize in enduro mountain biking? How can I start racing Enduro? The enduro race season usually runs from March to September with lots of races to choose from. Find out more about enduro mountain biking by checking out some of these links.